Hey Guys, I hope you all had a lovely Easter. I had four days off and as always its gone to quick! back at work tomorrow. As you can see I have changed my blog layout and name! I will make a separate post about it, but I hope you like it. It took me literally one week to change, I'm not much of a technical person, so its been a pretty frustrating and slow process. I took these pictures last week but had to put it on hold until I made most of the blog changes, I still have a few tweaks, but I'm really happy with it. I wore this outfit last week on a dinner date with my boo, dressing up was long over due, so whipping out my fave but super comfortable heels was a must. Love the new blog layout. 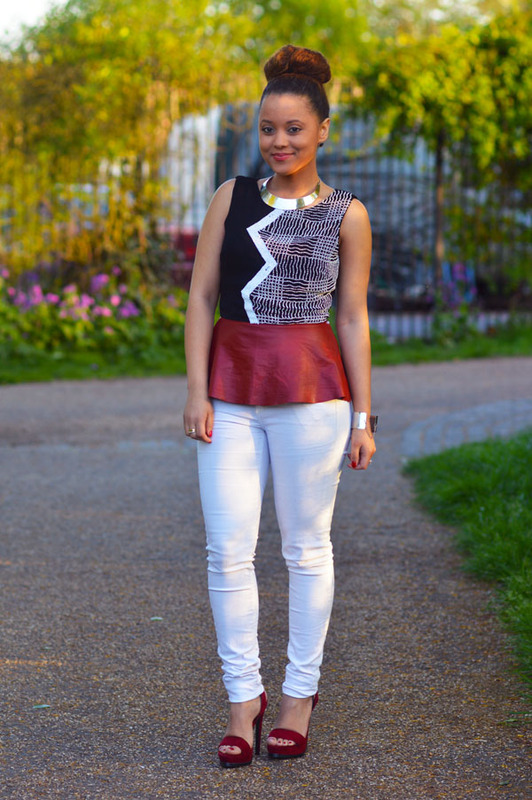 Lovely outfit, the peplum top is everything.